The new professional Mahlkonig grinder, the E65S was just launched at the WOC in Amsterdam these days. This new MK grinder offers some nice advantages for the professionals and the home baristas as well. For sure the most important benefit compared to the K30 will be a smaller size and less space to be required on the counter or in the kitchen. 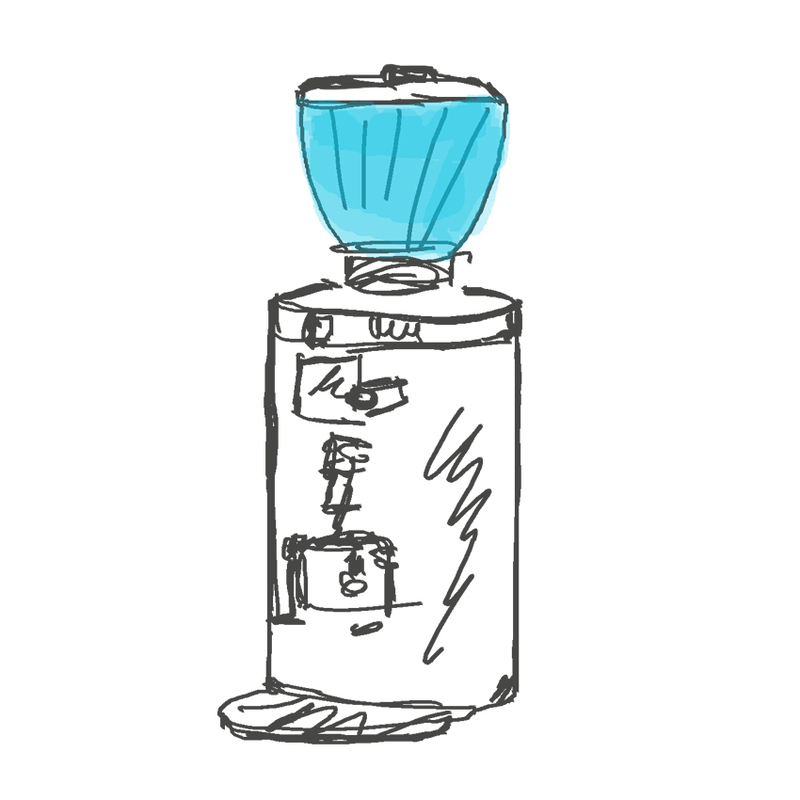 Also, the price will be less than the cheapest K30 grinder available. In addition to the MK, there will be also a similar grinder available from Anfim, the Pratica, which belongs also to the HEMRO group. This Anfim grinder comes with a cheaper outfit and body but has the same specs as the E65S grinder. While the MK price is expected to be approx. 1600 Euros, the Anfim will sell for approx. 1100 Euros. Also, the hoppers will be the same. We are going to launch the TORR TOYS glass hoppers here for this new grinder couple after the summer break in October. The new MK/ANF TORR hoppers are expected to be the same price as the Mahlkoenig. Max. size of the hoppers will be 1 KG here but we might go for a small one of approx. 300 and a standard one of around 1 KG. The OEM hopper can hold 1.2 KG. We will decide later if there might be a total different glass design for this new Bestseller grinder made by Mahlkoenig or if we will use the existing 4 sizes and designs which will also work here. In the end, the demand will point out the way.